Welcome to Shaw Pit Bull Rescue, Inc.
Shaw PBR is a 501(c)3 non-profit organization dedicated to saving abused, abandoned or neglected American Pit Bull Terriers. Over the years, the PitCrew has seen many cases of irresponsible pet ownership - resulting in dumped, lost, mistreated or surrendered animals. 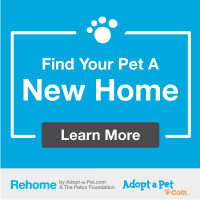 By educating the public about responsible pet ownership issues, Shaw PBR hopes to improve the overall welfare of pets in our society. Originally intending to rehabilitate only one to two dogs at a time, Shaw now has over 24 adopt-a-bulls. All dogs remain at our facility - in our personal care (no fosters) - so that we can better monitor their health and answer any questions potential owners may have regarding behavior, medical issues, etc. Fundraisers, sponsorships, and Shaw PBR merchandise are also available to raise funds to keep our efforts going. Our adoption fee is $100. All adopt-a-bulls are spayed or neutered; up-to-date on all vaccinations - including bordetella and rabies; on heart worm and flea/tick preventive; have been treated for heart worms and other parasites; are micro chipped; and come with free 30 day pet insurance; collar; and leash. Thank you so much for being a part of the solution, and not the problem.